Revenue from speeding fines helps to fill state government coffers year-after-year. In the last financial year alone, NSW motorists paid $150 million in speeding fines. Many of those tickets were for going slightly over the speed limit in areas not known to be dangerous. This has led many to conclude that speeding tickets are primarily for revenue raising rather than road safety. 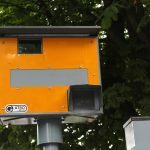 Although fixed and handheld speed cameras seem to be everywhere these days, police openly admit that they still issue speeding tickets through “estimations” of speed with the naked eye. 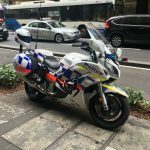 This week, Queensland Police Commissioner Ian Stewart admitted that police guess speeds when handing out fines – and the practice is hardly uncommon around the country. 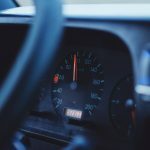 NSW police speeding fines based on estimates are completely legal – although they are not always reliable and can be a lot easier to challenge in court than some radar readings. Which has led some to ask, why should estimates still be allowed when there are so many radars around? Just this month, a truck driver was pulled over for speeding by a police senior constable. When the driver, Chris Smith, asked to see the radar reading, the officer confidently stated “everything is based on my estimations. Do you understand that?” Smith uploaded the video to his Facebook profile where it received over 1.5 million views. The ticket was for $254 and three demerit points. 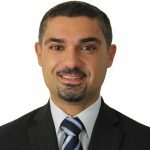 Commenting on the incident, a NSW police spokesperson stated that police are experts in the eyes of the courts when it comes to estimating speed. But how can someone estimate the speed of a car with the naked eye, especially if they allege a driver is only exceeding the limit by a few kiliometres? According to Commissioner Stewart, police don’t just come up with a random number – they follow cars they suspect are speeding and then check their pace according to the highly accurate speedometers in police cars. It is always an option to take the matter to court. Police concede that motorists are welcome to challenge fines in court, where the case will be thrown out if police cannot prove beyond reasonable doubt that you were speeding. But some might ask: if the fine should never have been issued, why should I have to spend my time and money fighting it in court? They may wonder whether a Magistrate is likely to believe them, rather than takes sides with a uniformed officer who claims to be an expert, and is adamant that you were speeding. 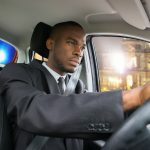 For these and other reasons, drivers rarely contest speeding tickets in court – it is often just easier to pay the fine, cop the demerits and get it over and done with. And of course police know this, which raises concerns about potential abuses of power. 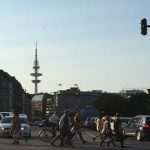 But it’s important to keep in mind that a good lawyer will often be able to convince police to drop the ticket so that you do not need to face a defended hearing. This is especially the case where a ticket is issued by an officer that is inexperienced or has not received specific training for estimating speeds. 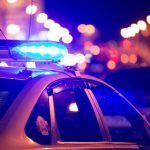 If the case goes all the way to a court hearing, an experienced traffic lawyer will often be able to systematically dismantle the testimony of police officers on the witness stand through thorough preparation and careful cross-examination. If the ticket had no legitimate basis, the Magistrate can even order police to pay your legal costs. What should I do if pulled over for speeding? If you are pulled over and told that you were speeding, remember that you are not legally obliged to answer any questions or say anything, although you must provide your driver licence to verify your identity. Things that you say may be used against you in court, and could reduce your chances of successfully fighting the charge – so think very carefully before saying anything. If you strongly believe that you were not speeding, you may wish to say ‘I was not speeding officer’ and keep it at that. But be sure not to get reeled into an argument which may be harmful to your chances of defending the ticket. If are thinking about contesting a traffic fine, it’s always a good idea to speak to a lawyer who is experienced in traffic cases before you make a decision one way or the other. When Can Illegally Obtained Evidence Be Excluded?